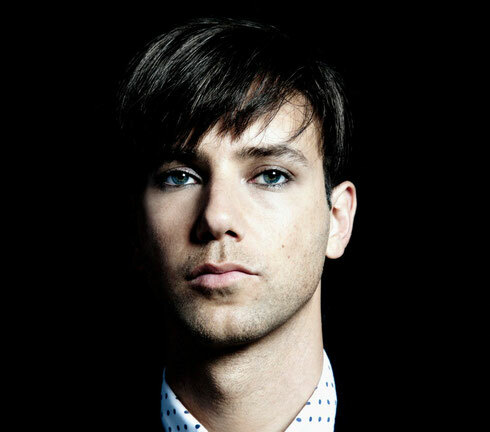 Tiga follows 2014’s breakout electronic music track ‘Bugatti’ with ‘Jam #1’, the second track from his and Boys Noize’s ‘100’ release. ‘Jam #1’ recently premiered via The Fader and on Radio 1 via B. Traits, and can be streamed alongside ‘100’ from Tiga’s Soundcloud page. Despite a long entwined history since their days as label-mates on Gigolo Records, Tiga and Boys Noize have remixed each other, DJ'd back-to-back, even worked on the same motion picture together (Ivory Tower), but these are the first studio collaborations between the two. Fittingly, this release on Turbo Recordings follow the Boys Noize Records’ 10 year celebrations, where the pair headlined a series of five shows together. 'Jam #1' is an ode to their mutual, low-slung techno roots, a stripped-down bonus beat that lays down the law of the drum machine, and sets the stage for the forthcoming '808 IRAQ' pulled from the same Berlin studio-session (soon to be released on BNR). Remixes for ‘100’ will be announced soon. Tiga’s debut live show will be revealed at selected summer festivals including Sonar, Parklife, Berlin Festival, Pukkelpop, and Flow Festival. The show, which will see Tiga joined onstage by regular collaborator Jori Hulkkonen, has been created via a collaborative project involving design collective Pfadfinderai (Modeselektor live, Moderat live) and Helmi (Division Paris), whom Tiga worked with on the ‘Bugatti’ video. He recently completed work on the show’s audio production and musical direction with Stuart Price at his Los Angeles studio. The ‘hybrid’ of live production and visual art installation will see Tiga perform songs and tracks from across his career, including ‘You Gonna Want Me’, ‘Sunglasses At Night’, ‘Pleasure From The Bass’, ‘Bugatti’, and beyond. New unreleased music will be revealed in the form of co-productions with Hudson Mohawke, Matthew Dear, Boys Noize, and Martin Buttrich. Housed within Pfadinderai’s and Helmi’s production, Tiga will perform live vocals alongside Hulkkonen, with the emphasis shifting between Tiga’s performance, the lighting effects and projections. For tour dates, check: www.tiga.ca.